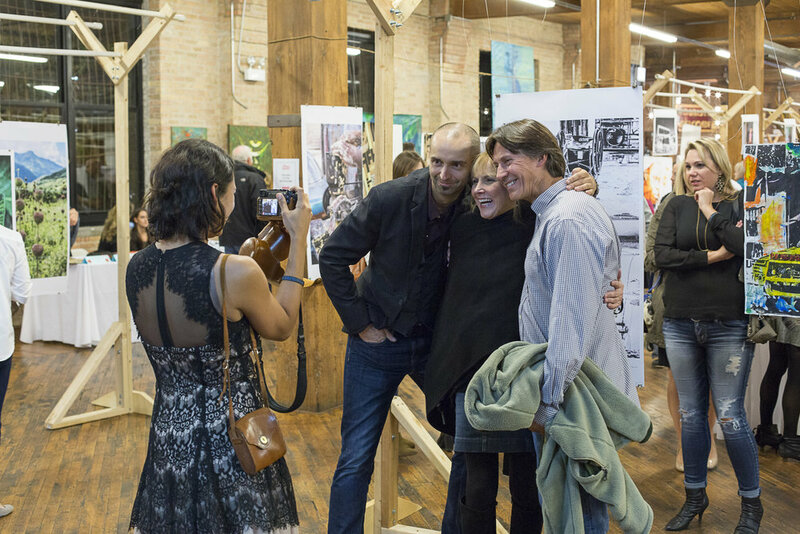 The Art for Health Benefit is an annual event celebrating Community Empowerment's work in the communities it serves. The event is an opportunity for CE's partner artists and selected newcomers to display their work. The multi-media work showcases the current conditions of the communities served, focusing on the hope, resilience and stories of the people. Select prints from the show are available for sale. To see artwork from the 2018 Benefit, please see below. The yearly Art for Health Benefit began in 2011. Since its inception, 99 percent of the proceeds have gone towards direct services (see chart below). Details on the 9th Annual Art for Health Benefit will be available Summer 2019. View pictures from previous events. Below lists the money raised in the last six Art for Health benefits. The proceeds from our event help us optimize and grow. Numbers are from the last 5 years. Our artists looked to combine local art with a global perspective by photographing and interviewing graffiti and graffiti artists in Chicago, Santo Domingo and Port au Prince. Below you can see a sampling their work, which showed at Lacuna Lofts on Friday, October 5th.